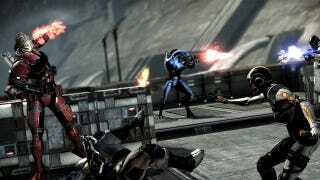 A new downloadable content pack for Mass Effect 3 will be out on July 17 for Xbox 360, Microsoft said today. Called Mass Effect 3: Earth Multiplayer Expansion, the DLC is totally free according to a blog entry by Microsoft's Major Nelson. This is likely the map- and weapon-packed "Earth" DLC that was leaked by a Redditor last month.